Between 1914 and 1918, Australia dispatched more than 330,000 soldiers overseas to fight in the Great War, now known as World War I. After the 1918 armistice ended the fighting, the Australian government instituted a program to provide free farming land to its returning soldiers, in order to reintroduce them back into civilian life. In Western Australia, the government established 48 farming estates totaling almost 90,000 hectares, or a little over 200,000 acres, in an area northeast of Perth, in the southwestern corner of the nation. This land became known as the Wheat Belt, but its inland location meant the area had limited water and was barely arable, a condition that worsened to the east, as the bush melded into the massive interior desert known as the Outback. Even so, as many as 5,000 returning soldiers accepted the Australian government’s offer and settled down in the Wheat Belt to begin their new lives as farmers. During the 1920s, about 1/3 of the soldier-settlers failed or gave up, while those who lasted learned to diversify their commodities—for example, planting wheat while also raising sheep—so that if the price of one commodity dropped, they could still buoy their finances on the other until the prices recovered. In that way, the Australian farmers protected themselves against downturns in fluctuating markets. The 1929 Australian election results propelled Labor party leader James Scullin to the post of Prime Minister; he was sworn in to the position on October 22, 1929, and two days later—before his cabinet was entirely in place—the Wall Street stock market began to crash. The resulting Great Depression caused all commodity prices to plummet worldwide. Looking forward to the following year, PM Scullin encouraged Australian farmers to grow more wheat, and in order to support their plight, he proposed the Wheat Marketing Bill to the Australian Senate in order to guarantee the farmers a minimum price for their 1930 crop; encouraged by the bill and his promises, farmers began following his advice. 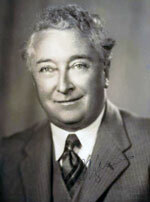 However, when the global wheat price then plummeted in June 1930, the Australian Senate rejected Scullin’s bill and two other attempts to later pass similar proposals, and Australian farmers, including the soldier-settlers of the Wheat Belt, faced the prospect of an enormous financial loss. In an attempt to ride out the downturn, Australian farmers stored most of their wheat, hoping the price would rebound by harvest time; it did not, and the farmers finally and begrudgingly accepted the rock-bottom prices rather than let their wheat rot in the silos. Scullin’s gambit had failed, and the farmers paid the price. 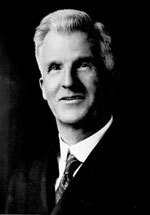 In 1931, PM Scullin finally passed a fourth attempt at a relief bill through the Senate, but his efforts were too late; in that year’s elections, his Labor Party suffered a convincing defeat to the United Australia Party, led by former Tasmanian PM Joseph Lyons. Lyons, who had previously served as Treasurer under Scullin, passionately opposed interventionist policies and, immediately upon accepting the post of Prime Minister, once more cancelled Scullin’s relief bill. Wheat farmers, suffering a second disastrous year and having lost confidence in either ruling party, forced a showdown with the government by agreeing among themselves to refuse to ship their 1932 harvest until they received fair prices for their wheat, simultaneously an act of bold defiance and a tremendous financial risk on the part of the desperate, struggling farmers. On the semi-arid eastern edge of the Wheat Belt, the soldier-settlers of the Campion district were among those who prepared to make this drastic statement. The farmers there had invested heavily in wheat since the stock market crashed; farms there were an average of about 3,000 acres in size, about half of which was cleared for farming, and plans were underway to build two new grain elevators in the central town of Walgoolan. The area also constantly struggled against pests and vermin; in the 19th century, English settlers artificially introduced non-native rabbits to Australia in order for the aristocracy to have familiar hunting targets. The rabbits, being rabbits, bred wildly and soon hordes of the hopping and munching critters devastated the local crops, prompting the government to take action. In 1907, construction began on the first of three 3.5-foot-tall so-called Rabbit-Proof Fences, bisecting the country from north to south and protecting much of the Western Australia farms from the plagues of rabbits, while providing a barrier to dingos and foxes as well. The fence, however, ran just west of Walgoolan and the Campion district, meaning the soldier-settlers there learned to accept the animals as a fact of life. They would soon learn, however, that rabbits, dingos, and foxes were not the plague that they needed to fear the most. Among other unusual animals, Australia is home to the emu (pronounced eem-yoo), the second-largest bird in the world, behind only the ostrich. Emus are shaggy, long-necked, flightless birds that can stand as tall as a human and weigh as much as 130 pounds, with football-shaped bodies covered in shaggy brown and gray feathers and balanced atop long, powerful legs. Their Latin name (Dromaius novaehollandiae) literally means “Australian sprinter”, as they can reach over 40 miles per hour in a dead run, while flapping their vestigial wings for balance. Emus are also well adapted to living in the arid climate of the Outback on account of their ability to survive for long stretches of time without water, although they then drink prodigious amounts when offered the chance. They generally migrate in the autumn, heading roughly from northeast to southwest in search of water, but they are notoriously unpredictable in the speed and distance they travel, and in the number of birds that will make the journey at once. Despite the emu being a symbol of the country—its image appears on the Australian coat of arms—the government had declared them pests in 1922 due to the threat they posed to the wheat crop, and instituted a bounty system for farmers, paying a set amount for each emu bill retrieved. In 1932, as the farmers daringly withheld their wheat crop in protest, an unusually large migration of about 20,000 emus invaded the approximately 40 square mile area of the Campion District, a density that averaged out to about 500 birds per square mile. Although emus could (and occasionally did) step over or tear down sections of the fence to the west, the birds largely saved themselves the effort and remained in the area around Walgoolan, where there was plenty of wheat to eat and water to drink. The Campion farmers, desperate to retain their 1932 harvest not only for income but leverage against the government, tried bounty hunting for the emus, but sheer numbers overpowered their ability to deter or thin the invading flocks. Some enterprising local boys in the Walgoolan area hopped on their bicycles and tried riding down the emus, swatting the birds in the head with sticks as they sped by, reportedly killing as many as 27 in one day. Farmers also tried hiring a local motorist to attempt the same tactic, pursuing the emus in his truck as townspeople swung clubs while perched on the running boards, but the vehicle’s engine frightened the birds and the exercise was deemed too costly. The emus persisted, and perhaps became even more wary of humans as a result of the townspeople’s efforts. One of the Campion soldier-settlers by the name of Dixon remembered his time in service and floated an idea among his fellows; soon thereafter, some of the local farmers (it is unclear exactly who) compiled and sent a letter to Sir George Pearce, Minister of Defense in Perth, and requested the deployment of modern weapons—specifically, machine guns—in order to contain the emu menace. Pearce discussed the prospect with the Commandant of the Fifth Military District, Brig. A.M. Martyn, who agreed on the viability of the plan, mentioning that the exercise could also serve as effective training for his men against fast-moving targets. One of the two—probably Pearce—also noted the potential opportunity for positive propaganda, in order to show to the Australian farmers that the Lyons administration was actively helping in their plight. The two men consulted the local Society for the Prevention of Cruelty to Animals, who supported the idea as long as their inspectors could verify that the animals were treated humanely and not allowed to suffer. Pearce saw the plan as both beneficial and practical, so without notifying his superiors in the distant national capital of Canberra, he informed the farmers of the Campion district that they would have their assistance, providing the machine guns would be manned by professional soldiers trained in their use and the farmers would provide all lodging, food, and ammunition. The Farmer’s Agricultural Bank agreed to front the government for the ammunition, to be repaid out of the farmers' future profits, and provided an indemnity toward any damaged cause during the operation. Col. Hoad of the Australian Light Horse, hearing of the plan, placed an order for 1,000 feathered emu skins, in order to make plumage for his horsemen’s iconic hats. The expedition was under way. Brig. Martyn appointed Major G.P.W. Meredith, Commander of the Seventh Heavy Battery in Perth, to lead the mission to Campion. Major Meredith mobilized two of his machine gunners, Sgt. McMurray and Gunner O’Halloran, along with a pair of Lewis light machine guns. The Lewis was an American design produced in England and used heavily in World War I; gas-operated but air-cooled, it was used during the war both on the ground and while mounted on airplanes. It was about half the weight of the Vickers, and fired 500-600 rounds per minute from its single barrel, although the limited size of the magazine required reloading after 96. The Lewis Gun’s effective range was recorded as 880 yards, although its bullets could reach four times that far with increasingly diminished accuracy and power. Maj. Meredith, Sgt. McMurray, Gunner O’Halloran, and a Fox Movietone cameraman (whose presence was noticed by, but not explained to, reporters covering the scene) gathered their required supplies, equipment, kit, and 10,000 rounds of prepaid ammo, and stood by to board the train to take them to the Campion district by early October, 1932. And it rained. The emus ran away for a month, as the soldiers waited in Perth. When the emus returned near the end of the month, the soldiers boarded a train for Burracoppin, the nearest train station to Walgoolan, where they were met on November 2 by a crowd of excited farmers. From there, they and their weapons traveled by truck through the rabbit-proof fence toward the Campion district. While in transit, the men spotted a mob of 40 to 50 emus, and Meredith decided to begin the operation then and there. Noting that the birds were out of range, he asked some of the locals to circle around the emus in their own vehicles, driving the birds toward the soldiers and their machine gun; about fifty enthusiastic farmers did so, embarking in several cars upon a twenty-mile circuit with a plan to herd the emus to a spot against the fence, where the animals would be trapped and vulnerable to the weapon's rapid fire. However, emus do not stampede in a straight line as many other animals do, but scatter in all directions when startled, so when the cars roared toward their position, they split into small groups and bolted in all directions, flapping their tiny wings, bodies bobbing this way and that while their muscular legs kicked up dust, swiftly tracing winding patterns through the scrub that the limited agility of the pursuing cars could not hope to follow. The closest of the emus got within 1,000 yards of the guns, and although it was beyond their range, McMurray fired. The shots fell short and missed. On the following day, Meredith ordered that his men set up base camp about thirty miles north of Walgoolan, with operations concentrated primarily on the Parry, Joyce, and McGeorge farms in the area. Again, the soldiers spotted a herd of emus and, packing into trucks and accompanied by nine cars of cheering locals, stormed after the birds; they killed nine, but only after the birds devastated a local farm. Observers noted that the emus were seeming to quickly learn (or already knew) the range limits of the machine guns, and would rarely venture within 1,000 yards of the men. In the early morning of November 4, O’Halloran set up at the dam again, and at sunrise a herd of about 100 emus headed straight for him; he opened fire at point blank range, achieving complete surprise but killing only twelve before his gun jammed. Meredith had sent away most of the locals, but some of the few remaining locals fired their rifles; again the emus scattered into small groups and zigzagged into the brush, evading damage. The soldiers waited for them at the dam for the remainder of the day, but no emus returned. With 30 emus now dead, the soldiers with machine guns had finally surpassed the one-day body count of stick-wielding local boys on bicycles. During this time, the Fox Movietone cameraman was with the group for at least part of the time; footage from the beginning of the operation delivered to the public a propaganda reel showing the results as spectacular, optimistically proclaiming that “[t]here will be no more damage done here for many a day to come.” Still photos of the time are remarkably generic, usually consisting of a single farmer displaying a single bird, or of two or three avian bodies against the fence. Print reporters began enthusiastic but became more jaded and sarcastic toward the operation as time went by, sometimes attributing human characteristics to the emus. For the next few days, Meredith pursued rumors of relatively large, tame flocks of emus south of their position, but with little more success. At one point, they mounted one of their Lewis guns on the back of a flatbed truck, and chased emus through a paddock at over 30 miles per hour; Gunner O’Halloran, clinging desperately to the back of the wildly bucking truck as it sped over uneven terrain, could not manage to discharge even a single shot. At one point, a local farmer tried simply running an emu down, but the doomed bird managed to entangle its corpse in the steering gear so that the truck ran off the road, excavating a large piece of fence before finally coming to a stop. By November 8, the men had used about a quarter of their allotted ammunition in pursuit of the birds. Reporters estimated that the men had killed approximately 200 emus, which was likely a generous number; Meredith insisted on 300, and locals bragged of 500, but even assuming the highest number, the operation accounted for about 1/40 of the emu migration so far, and in the process, the panicking birds managed to stampede much of the remaining wheat into dust. Meredith, taking stock of the situation, praised the birds’ speed and resilience, remarked to a local that an expansion of the operation would be justified, and helpfully pointed out to a reporter that on the bright side, the mission had not suffered a single human casualty. Meanwhile, word had reached Canberra of the operation against the emus, and reporters asked Prime Minister Lyons for his views on the subject; Lyons, taken aback, promised to get answers. Other MP’s soon criticized the hunt, often equating its ridiculousness with the Lyons administration. Harold Thornby, MP for Calare in New South Wales, called it a “farce”, and after a Labor politician asked if there would be medals, a Western Australian MP replied that if there were, they should go to the emus. As the issue blossomed into a potential embarrassment, defense authorities reluctant to set precedent ordered that Meredith and his machine guns withdraw from Campion by November 9. Martyn immediately relayed the orders to Meredith, who, after visiting two more paddocks (including Dixon’s) and scouting about 30 miles of fence, dismissed reports of another major flock in the area and followed his orders by ultimately departing the Campion district later that day. The farmers immediately expressed their outrage at the withdrawal and pleaded for the return of the gunning crew. Pearce, still in Perth, received a desperate telegram that read, “Gunners withdrawn. Imperative they should stay. Emus beginning reappear in large numbers. Can you do anything? Wire me immediately. – Dixon.” The Great Southern Leader newspaper reported on November 11 that “Experience was just beginning to reach a point where results could be expected.” Western Australia Premier Sir James Mitchell, although a member of the Prime Minister’s own party, also demanded that the party return to Campion, inflating the amount of damage caused in an effort to garner support; ironically (and possibly unintentionally), he cited massive damage inflicted on the Parry, Joyce, and McGeorge farms, although much of that damage was likely caused by the guns themselves or the throng of accompanying cars and trucks. This local pressure caused Pearce to attempt to sway Canberra to allow Meredith’s men to re-deploy, but the Lyons administration literally did not return his calls. Left to his own devices, Pearce quoted reports that further inland drought was causing even more emus to flock to farmland, and that the birds were knocking down significant portions of the fence and letting in the rabbits. Pearce decided that he could technically adhere to his orders by lending the machine guns to the Western Australian state government, rather than deploy them himself, and since the Western Australian state government had no qualified gunners, he also lent them Meredith, McMurray, and O’Halloran. The letter of the law and chain of command thereby satisfied, the same force of three men once again boarded the train for Burracoppin and then to the Campion district, arriving at the Joyce farm for a second time on November 13. The second sojourn in the Campion district did not fare much better than the first. On the day of their arrival, the gunners set an ambush but misestimated the range; by the time they had changed barrels to compensate, the emus once again scattered in their typical chaotic pattern, and the two men killed only twenty birds. On November 15, the men tried switching to rifles and stalking the birds, to no avail. They then tried splitting their force of three, deploying O’Halloran to the north as McMurray and Meredith headed south towards Walgoolan; the latter two drove a herd of emus back toward and right over an overwhelmed O’Halloran’s position. The animal welfare officer who accompanied the men admitted that he had little do, due to the birds’ ability to continue to operate so well even when grievously wounded. At some point, someone left a gate in the rabbit-proof fence open, allowing a good number of rabbits and emus alike to push into the supposedly protected interior before the gate was again closed. Pearce continued to defend the use of the machine guns, saying that he had at first thought that only a few had been killed, but later learned that the number was in the hundreds. By December 2, Meredith estimated that the men killed about fifteen birds per day, and the expensive and embarrassing operation was finally recalled a second and final time on December 10, 1932. In his final report, Meredith claimed that of 9,860 rounds expended, the suspiciously easily divisible number of 986 birds had been killed; he also added that an additional 2,500 had later succumbed to their words, a calculation for which he provided no methodology. The emu war had been a massive public relations debacle. Wheat Belt farmers continued to request machine gun crews in 1934, 1938, and 1943 as more Australian farms failed; in the latter of those requests, one petitioner suggested that the Australian military would be certain to have great effect against the emus if rather than machine guns, they instead began bombing emu flocks from the air. Eventually, the government reinstituted the bounty system, and between the years of 1945 and 1960, local farmers claimed bounties on over 284,000 emus. Today, the International Union for Conservation of Nature rates the emu as ‘Least Concern’; there are now more emus in Australia than there were when Europeans first landed. “First Shot Fired in War on Emu”, The Sun (Sydney, NSW), Nov. 2, 1932. “Emu War Opens: Gunners Replace Boys on Cycles”, The News (Adelaide, SA), Nov. 3, 1932. “20 Killed in Emu War: Gun in Ambush Wounds Many”, The News (Adelaide, SA), Nov. 4, 1932. “The Emu War: Pest Being Driven Away”, The Sun (Sydney, NSW), Nov. 5, 1932. “The Emu War: Third Day, Light Casualties”, The Telegraph (Brisbane, Qld. ), Nov. 7, 1932. “Emu War Over: Machine Gunners Withdrawn” and “The Emu War”, The Daily News (Perth, WA), Nov. 9, 1932. “Emu War Still On”, The News (Adelaide, SA), Nov. 9, 1932. “Emu War Ends: Gunners Withdrawn”, The West Australian (Perth, WA), Nov. 10, 1932. “The Emu War: Campion Evacuated”, The Great Southern Leader (Pingelly, WA), Nov. 11, 1932. “Emu War Again: 300 Killed in First Duel”, The Canberra Times, Nov. 12, 1932. “Emu War Defended: Justified by Damage Done”, The Argus (Melbourne, Vic. ), Nov. 19, 1932. “The Emu War: Paying the Costs”, The West Australian (Perth, WA), Nov. 27, 1933. “The Smile Again Club: Cancellation of Emu War Debts”, The Sunday Times (Perth, WA), Dec. 3, 1933. “New Strategy in a War on the Emu”, The Sunday Herald (Sydney, NSW), Jul. 5, 1953. “Recalling the Emu War of WA”, The Canberra Times, Oct. 4, 1973. “The Great Emu War: In which some large, flightless birds unwittingly foiled the Australian Army”, Scientific American, Aug. 4, 2014, available online here. “The Great Emu War”, The Sydney Morning Herald, Jan. 23, 2016, available online here. “Australia launched an offensive against emus in the 1930s”, news.com.au, Nov. 2, 2015, available online here. 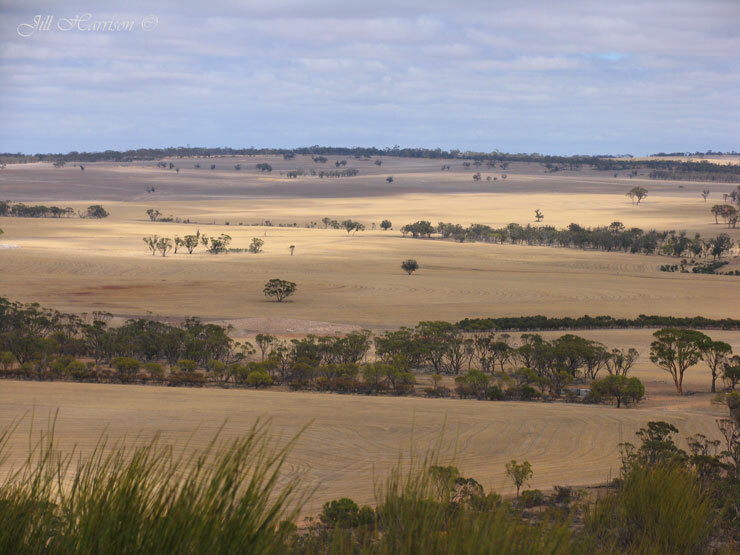 Photo of the Wheat Belt titled View from Kokerbin Rock, by Jill Harrison, from her blog Life Images by Jill, available here. Photo of James Scullin and Joseph Lyons from the National Museum of Australia here and here. Emu War MovieTone clip from YouTube. Photo of herd of emus from the Murray Offroad Adventures website. Photos of emu head and running emu from the Alphacoders Wallpaper site here. 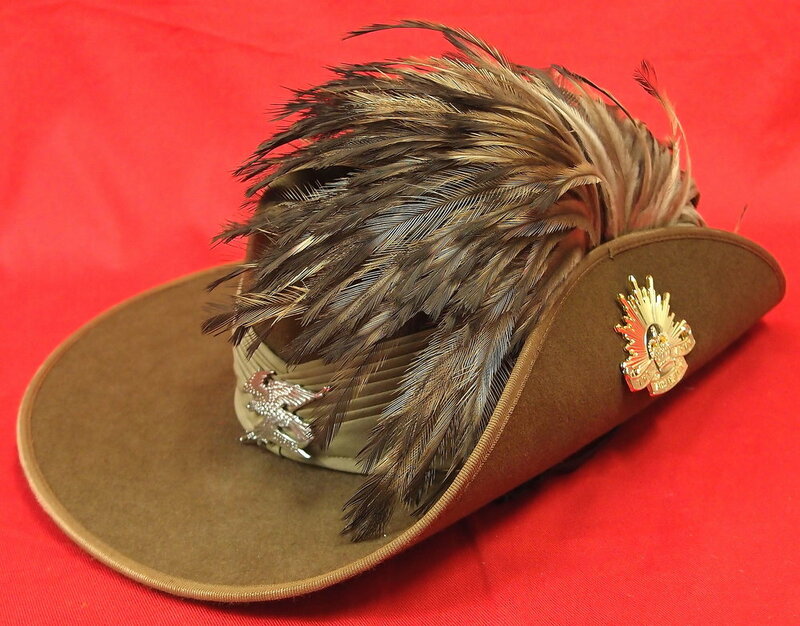 Photo of Australian Light Cavalry hat from JB Military Antiques here. Photo of flock of emus by the WA Department of Agriculture and Food. Photo of four emus in flowers by Tony Marsh, available on Flickr here.